Our landscapers in Salinas are committed to providing a first class, professional service to assist with all of your landscape design and needs. We provide our landscaping services in the Salinas community and it's surrounding areas. We pride ourselves in communicating with our clients to help them turn their dream landscape designs into reality. The key is to always develop a landscape design with the vision and goals of our client as the #1 priority. We believe we will not only exceed your expectations for your landscaping services, but with our professional touch we can add massive value to your home. 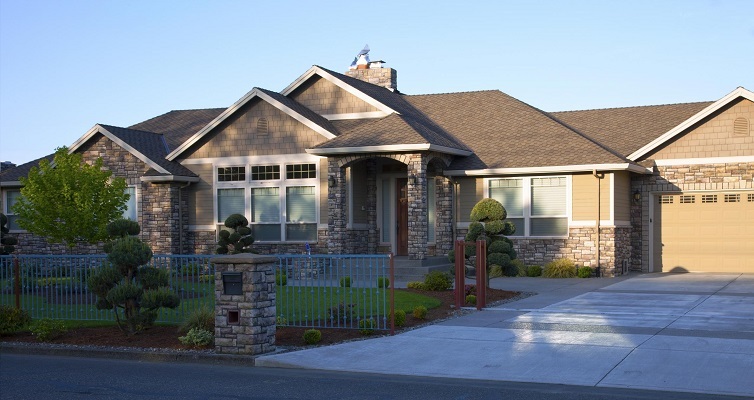 Once you choose our landscapers in Salinas, Ca, you will never want anyone else touching your lawn. The benefits of having our Salinas landscapers attend to your needs are endless. We will provide attention to detail in our landscaping services that may be difficult for you to accomplish on your own. This is especially true when trying to balance a demanding life that consists of work, family and time with friends. With increasingly busy lifestyles, it is nearly impossible to service your landscaping needs the same way our professionals will. Not only will we provide you consistent care to the design and needs of your landscape, we will add value to your home while in the process. Most often, a home owner invests majority of their money to the inside of their home, forgetting the potential value in their landscape outside. This is a critical error when a well-maintained landscape can add up to as much as 10% to the value of your home! ​Why risk a large profit on your home by doing these mundane tasks on your own? Rely on our Salinas Landscaping company, the highest quality and professional services in the business to increase your curb appeal! The process is simple. If you are in the need of landscaping services in the Salinas Valley, give Salinas Landscaping Services a phone call, or fill out our FREE quote form to get an immediate response from a professional! Planting in the wrong places. People often misunderstand the proper amount of sunlight and exposure their plants need. Some plants need more sun exposure than others, it is wise to understand what type of sun exposure each plant needs, and place them accordingly. If you want the best garden designs, it's best to do your homework. Planting too deeply. The roots of your plants and trees need exposure to sunlight in order to grow. Home owners often make the mistake of planting too deeply, which actually kills the roots. Most of the time, you want to make sure and dig your hole twice as wide as the diameter of the root ball. This ensures the roots will have plenty of room to spread out wide and create a strong, healthy base for your plant. These steps will make for beautiful garden designs in any residential or commercial property. Cutting the grass too short could actually be harmful. A common mistake we encounter is people cutting their grass extremely short, believing that they will have to mow less frequently. You should cut only the top 1/3 of the grass blades, which allows your lawn to properly grow, establishing a deeper, stronger root system. Deeper roots allow the lawn to find nutrients and water that are found further down in the soil. Cutting your grass short also leaves the lawn prone to bare patches and weeds. This information will ensure an appealing front yard and back yard. Homeowners make the common mistake of over watering their lawn, although most Californians have cut back due to the drought. It is said that your lawn only needs about an inch of water per week. Not attending to plants that need to be regularly maintained. This can be a costly mistake for owners who do not create a schedule for when their lawn and garden need to be cared for. 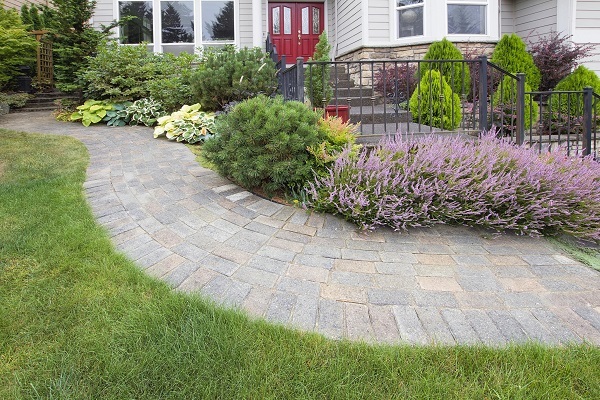 Inconsistency can damage the appeal of your landscape and it can be difficult to recover from. Overgrown plants and bushes can damage the root systems of neighboring plants, leaving your yard overgrown in some places and unhealthy in others! Listen to the pros for the best possible garden design! Forgetting the importance of curb appeal! The common mistake is that owners spend the majority of their time in the backyard perfecting their landscape. Homeowners seldom work on the design of their landscape in the front yard, where the first and most important impressions are made. A stylish, modern front door, garage door, and well manicured landscape can add thousands of dollars to the value of a home. Proper fertilization can be difficult for owners to master. Too often owners either improperly fertilize their lawn, or they forget to do it altogether. Fertilizer should occur twice a year, from Salinas Landscaping Services, of course! 1. Always mow a dry lawn. Cutting wet grass can not only create damage to your lawn, it can cause you to spend twice as much time mowing! Cutting a wet lawn will cause your mower to clog, leaving clumps of wet grass throughout your yard. These clumps of grass can smother the grass and create brown spots. Mowing wet grass can also create an uneven cut. Be aware of just how dry your lawn might be, potentially dry enough to be considered a fire hazard. 2. Spread dry grass clippings throughout your lawn. If you are cutting your lawn on a high setting, ensuring that only the top 1/3 gets cut, these clippings will break down rather quickly. Nitrogen and other nutrients will be added to your lawn as these clippings degrade, providing a natural, free supplement to your lawn. 3. Mow your lawn in various patterns. Grass blades lean in the direction you mow, cutting the grass in different patterns will help the grass blades stand up tall. It will also aid in keeping soil from getting too compacted in high traction areas. ​﻿We provide the top landscaping services in Salinas and other areas, such as: Monterey, Marina, Seaside, Hollister, Carmel, Carmel Valley and Pacific Grove. Our experts have experience working on residential and commercial landscapes. We also understand the importance of a well maintained landscape and the value it can add to a home or business. 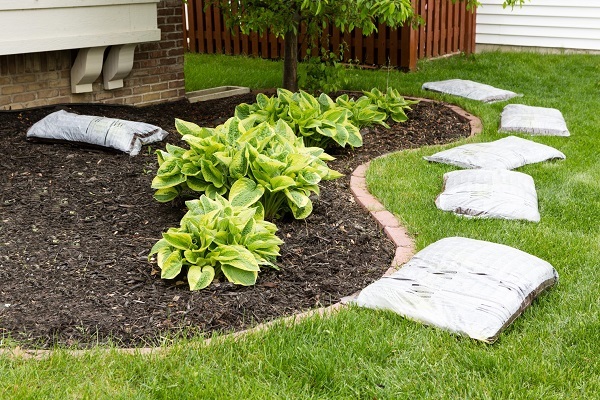 ​Many of the landscaping services that are required to keep a landscape beautiful are difficult to manage on your own. They require specific skills and landscaping equipment that make some of the most difficult tasks seem simple. Do not waste anymore weekends fighting with your lawn or garden. Call Salinas Landscaping Services to manage all of your landscaping needs! You'll find our list of services below for more information. We provide the top quality landscaping maintenance to any lawn or garden in the Salinas Valley. We are eager to set up a maintenance routine for your landscape to keep your design looking beautiful all year round. Our typical maintenance services include mowing, edging, fertilizing, shrub removal, weeding and insect control. ​These landscaping services are essential in maintaining the overall health and appearance of any lawn or garden. It is our goal to not only improve the overall appearance of your landscape, but we intend to add value to your home or business as well. ﻿Our landscape design process typically lasts for one-two months, depending on the needs of the individual. Each design consists of a hardscape plan and a softscape plan. ​The hardscape plans include pavement, patios, decks, boulders, fountains and other physical features that our clients wish to include. The softscape plan is essentially the planting of different trees, shrubs, flowers and plants. We ask our clients for a list of different plants, shrubs, and trees they would like to see in their design. We will evaluate the space available to choose the correct sizes, which will better allow us to understand a price point to install the desired plants. Prior to the construction of a new design, our professionals will sit down with our clients to discuss the focal point of the landscape design. Once we agree on the landscape design and price, our landscape construction will begin immediately. If your tired of maintaining your lawn or fed up with the cost of your water bills, then installing artificial turf is a great solution! ​If you are set in moving forward with installing artificial turf, then Salinas Landscaping Services will proudly serve your needs. The first thing we ask from our clients are the dimensions of where the installation will be needed. ​Depending on the dimensions of the landscape, our professionals can have your turf installed anywhere between one to two days or one to two weeks. Once the installation is complete, the only maintenance required is to brush the sand beneath the artificial grass to prevent uneven patches. ﻿We provide sod installation for all residential and commercial properties. A fresh start to a new lawn is important, and at Salinas Landscaping Services we can get you started off on the right foot. The preparation to laying sod is essential to having healthy green grass in the future. Our professionals will prepare your soil with proper fertilization and weed control to ensure that you have the best quality of grass. We provide a variety of different sods that can satisfy the individual needs for each of our clients. 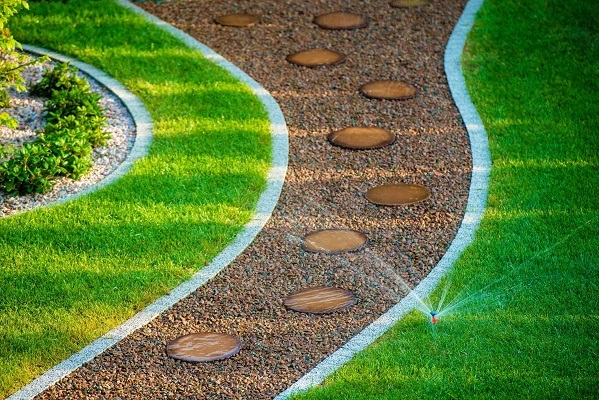 Once the sod installation is complete, it's important to water your lawn frequently within the first two weeks. Mowing can begin after three weeks of growing. We provide tree trimming services in order to maintain safety, health and appearance of residential and commercial properties. Overgrown trees that have low hanging branches can be dangerous to a property and the people around it. Leaving large overgrown trees unattended could result in broken and fallen branches that may cause damage to homes, businesses or even pedestrians that are nearby. Do not increase your costs in repairs because of a failure to properly manicure your trees. ​Have Salinas Landscaping Services trim and prune your trees, young or old, to sustain the appearance and safety of your landscape. Once we are finished with our trimming, our professionals will clean up and haul off the mess on our way out. Tree stumps can diminish the appearance and function of your lawn or garden. Stumps are difficult to remove because of the powerful equipment that is necessary to complete the process. For this reason, a professional is highly recommended. No matter where the stump is located, or how big it may be, Salinas Landscaping Services can remove any stump. Once we are finished with the job, there will be no visible signs that a stump ever existed as we get rid of every last root. Our expertise and skills in stump removal will also conserve your property by recycling the left over chips for re-mulching in other planted areas. The reason why you should choose Salinas Landscaping Services is because we provide the best landscaping services in Salinas and other local communities. ​We employ professionals that conduct themselves with honesty, integrity and hard work. We are determined to exceed your expectations with whatever landscaping services that you are in need of. Our versatile professionals are experts in their craft, and they can deliver results that will make the exterior of your home or business beautiful. We respond promptly to your needs and we treat each client like their project is the most important to our business. ​Do not overlook the importance of high quality, well thought out landscape designs and call our Salinas Landscapers today for the best results in the Salinas Valley! THANK YOU FOR VISITING SALINAS LANDSCAPING SERVICES!